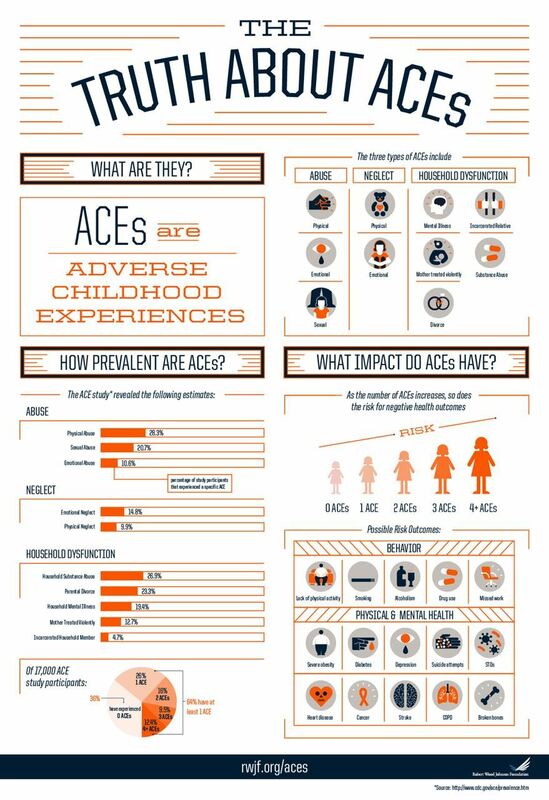 Why is the Adverse Childhood Experiences Study and building resilience important for communities? In our neighborhoods, schools, grocery stores, and playgrounds, communities all matter in addressing Adverse Childhood Experiences (ACEs) and supporting individual and family resilience. Each person’s life history impacts who they are, how they develop relationships, and how they respond to opportunities. 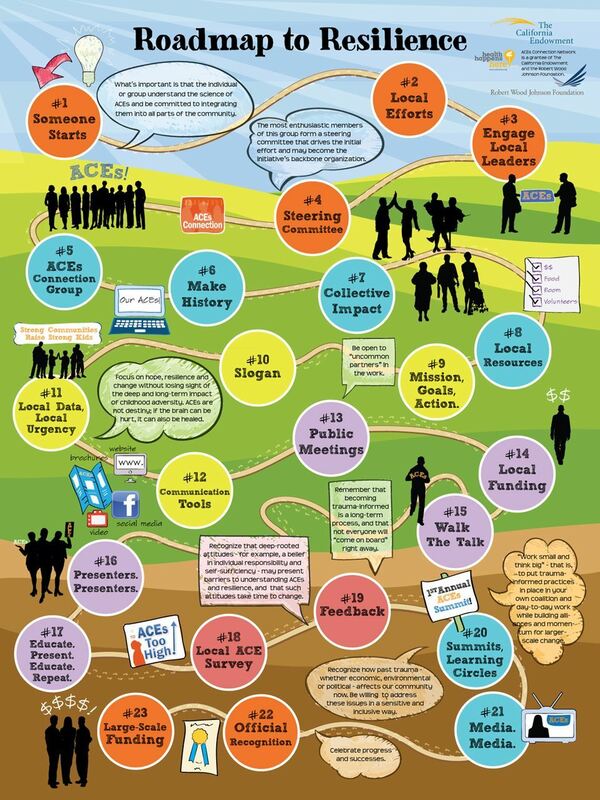 Follow the Roadmap to Resilience above to see how communities are working to educate their neighbors and change attitudes! What do communities have to do with ACEs? Communities work together to develop a shared agenda to learn more about Adverse Childhood Experiences (ACEs) and how to build more resilience. When communities join the forces from the worlds of education, medicine, business, public safety, mental health, clergy and more, adversity and resilience can be helped at many levels. Working together means sharing resources, collaborating for funding, participating in the same training, and developing a shared vision for their community. Some examples of community work related to Adverse Childhood Experiences (ACEs) include networks of service providers, community members, clergy, law enforcement, parent educators and public school educators collaborating to host a local conference with a training and development of response plans. These types of collaborative trainings can result in changes in attitudes and learning new ways to approach working with “at risk” families, students and individuals. A strength-based, or resilience-based approach looks for the ways that people and families have survived and even thrive, despite difficult circumstances. When communities work together to think about their neighbors in new ways, resilience-based ways, new types of relationships are formed. What does community collaboration look like? The Children’s Resilience Initiative in Washington State is an example of a community-based effort. Their website, “Resilience Trumps ACEs” is one place to visit to understand how to approach Adverse Childhood Experiences (ACEs) at the community level.